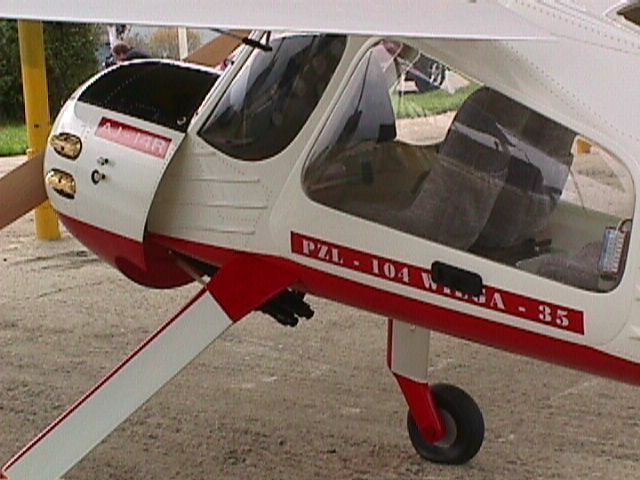 The Wilga (PZL-104) was developed by PZL in Poland to serve the military as a reconnaissance aircraft. Its unique appearance makes it stand out among both modern and vintage aircraft. 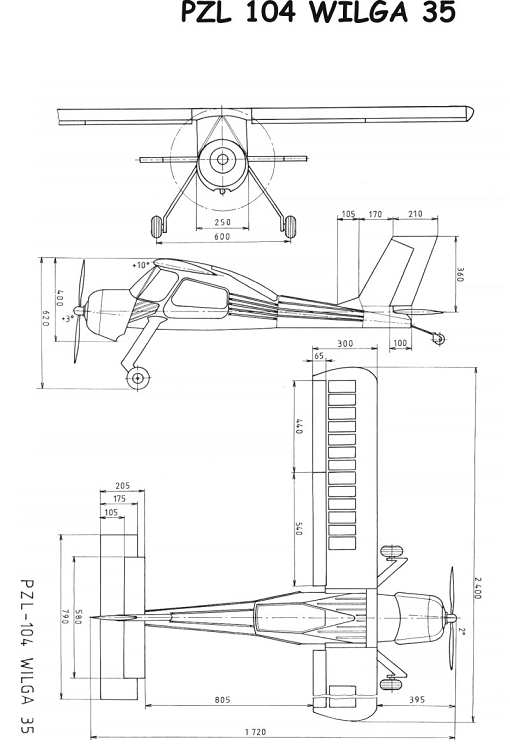 This is definitely not just another high wing monoplane. Its reputation as a tow plane in both the full scale and modeling worlds is legendary. 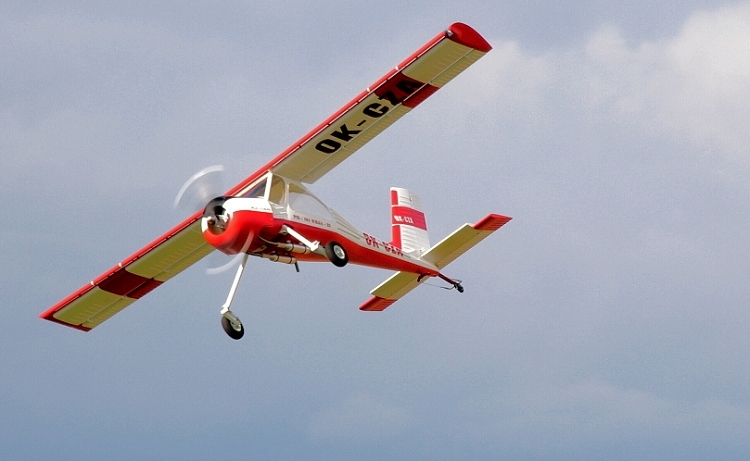 In Europe it has been used to tow 3 full-scale single place gliders at one time. The kit comes as an RTF plane. Fuselage is a highly detailed white molded fiberglass piece with all paneling and rivet made. Windows are fitted and firewall is fully carbon reinforced. Landing gear is molded fiberglass/carbon. Wings are of built-up type covered and ready for radio gear installation and feature ailerons and flaps. Wings are assembled by means of a twin steel tube wing joiner system which is very reliable and strong. Kit also includes a cockpit interior and main gear fairings. Equipped with a 30 to 60cc engine it is pretty light, yet feature a strong construction, it is a very gentle flying tug. 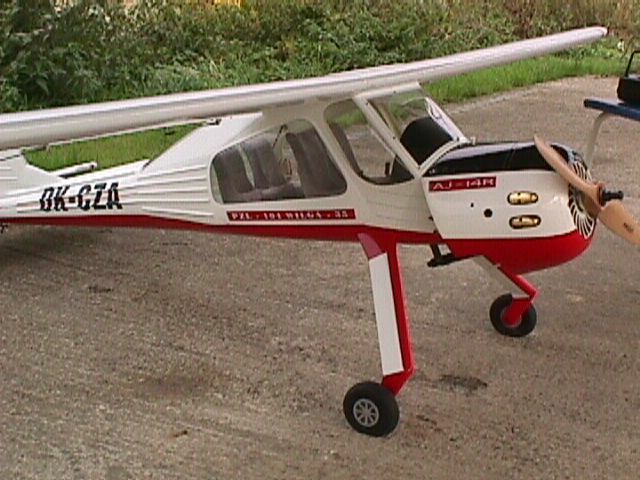 Even fitted with an 80cc engine, it has proven to be a reliable and long lasting plane, going through several heavy flight season without any trouble. Electric tug is also possible with now the famous Plettenberg Pred. 30-8, it will tow 20-30lbs gliders to sky's limit. This Wilga has proven to be our first choice tug.